Bob Bowlsby, one of the most respected athletic administrators in the nation, was named the fourth full-time Commissioner of the Big 12 Conference on May 4, 2012. The hire was praised throughout college athletics circles as yet another step in the continuing strength and stability of the Big 12. Bowlsby has been at the forefront of change in collegiate athletics and was appointed to the inaugural NCAA Division I Council in 2015. The Division I governance body establishes and revises new governance rules that will oversee and guide all of college sports. He is also the chair of the Football Oversight Committee which oversees all aspects of collegiate football and reports directly to the NCAA Division I Council. In 2014-15, the Big 12 introduced “State of Collegiate Athletics” forums to examine the issues facing college athletics. Six events have been conducted in four different cities across the nation – New York City, Washington DC (2), Dallas (2) and Atlanta – with panelists including respected authorities from intercollegiate athletics, university leadership, student-athletes, media members and activists. The two forums in 2016-17 addressed the topics of Campus Sexual Assault and Issues of Race within Intercollegiate Athletics. In his tenure with the Conference, Bowlsby finalized one of the most lucrative television deals in college athletics and played a key role in the formation of the College Football Playoff that began in 2014-15, the first postseason playoff in the history of the sport. He also negotiated a partnership with the Southeastern Conference in which both leagues’ champions will meet each year in the Allstate Sugar Bowl in addition to confirming the league’s other bowl partnerships, giving the Big 12 some of the premier postseason destinations in college football. Additionally, under his leadership, the Big 12 Football Championship Game was reinstated beginning with the 2017 season. Improved scheduling has been another priority under Bowlsby which resulted in a men’s basketball Big 12/SEC Challenge that was staged for the first time in 2013-14. Women’s basketball also created a Big 12/SEC Challenge that expanded to full conference participation in 2016-17. A non-conference scheduling requirement was added in football in which every team must annually play at least one non-conference game against an autonomy conference institution (ACC, Big Ten, Pac-12 and SEC) or Notre Dame. In his first five years, Bowlsby has seen 13 national championships added to the Big 12 trophy case and 107 NCAA individual event crowns. Sixteen additional conference squads finished as runner-up in NCAA competition. Five teams have competed in College Football Playoff New Year’s Bowls in the three years of the structure with Oklahoma making the Conference’s first appearance in the CFP semifinals in 2015. National titles were captured in 2016-17 by Texas men’s swimming & diving, along with Oklahoma women’s gymnastics, men’s golf and softball. The Big 12 also had two Heisman trophy finalists in 2016. Bowlsby has led the Big 12 Conference to record revenue amounts with an all-time high of $34.8 million per school in 2016-17, an increase of 15 percent over the previous year. This is in addition to monies received directly by each institution for its third-tier media rights. Prior to his role at the Big 12, Bowlsby spent six years directing a Stanford University athletics department that sponsors 35 varsity sports and claimed an unprecedented 17 consecutive Learfield Sports Directors Cups, emblematic of the top overall athletics program in the country. Bowlsby arrived at Stanford after a 15-year stint as the Director of Athletics for the University of Iowa. In his final four years, he guided and supervised the merger of the Hawkeye men’s and women’s athletic departments that included 24 varsity sports. Throughout his career, Bowlsby has emerged as a national leader in intercollegiate and amateur athletics. He was appointed to the United States Olympic Committee Board of Directors in 2007 and completed that term at the 2014 Winter Olympiad in Sochi, Russia. In 2002, President George W. Bush chose Bowlsby to be a member of the Commission on Opportunities in Athletics, which reviewed the first 30 years of Title IX. Bowlsby has previously served as president of the NCAA Division I-A Athletics Directors’ Association, chair of the NCAA Division I Men’s Basketball Committee (2003-04, ’04-05) and chaired the NCAA Management Council. In addition, he has also chaired the NCAA Wrestling Committee, served on NCAA committees on Financial Aid and Amateurism, the Special Committee to Review Amateurism Issues and the Special Committee to Review Financial Conditions in Athletics. 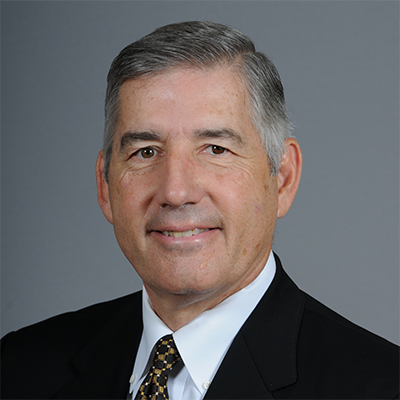 The National Association of Collegiate Directors of Athletics (NACDA) named Bowlsby in 2001-02 as Central Region Athletic Director of the Year and Sports Business Journal selected him from the four regional award winners as the National Athletics Director of the Year. The award highlights the efforts of the athletic directors for their commitment and positive contributions to campuses and their surrounding communities. Before his stint overseeing the Hawkeye athletic department he served in the same role for seven years at the University of Northern Iowa. A native of Waterloo, Iowa, Bowlsby was named to that post in 1984. He was previously in the role of Assistant Athletic Director for Facilities at the school. Bowlsby earned his bachelor’s degree from Minnesota State University (Moorhead) in 1975 and his master’s degree from the University of Iowa in 1978. In February 2013, he was named to the NCAA 40th Anniversary Tribute Team, which recognized the 40th anniversary of NCAA Division II competition. He was a four-year letterwinner in wrestling at MSUM and served as captain during his senior year when he won a NSIC title, and in 2013 he received the Alumni Achievement Award. Bowlsby was inducted into the Dragon Sports Hall of Fame in 1998 and the University of Northern Iowa Hall of Fame in 2007. He also serves on the National Advisory Board of the Positive Coaching Alliance and the Board of the National Football Foundation. Born on January 10, 1952, Bowlsby has been married to his wife, Candice, for 40 years. They have four children and five grandchildren.